Use various colors of large confetti as table runner! See more photos from this event on the source. See a tutorial for this idea using gold confetti glued onto a paper runner. 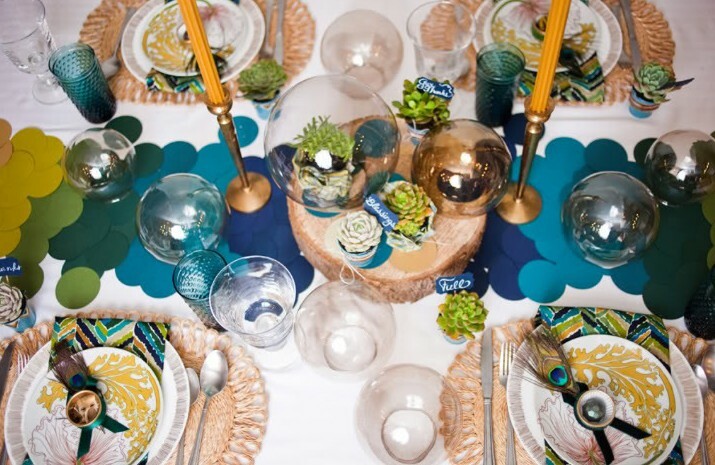 See this idea using heart-shaped confetti as table runner. See a tutorial on how to make the confetti. See a tutorial for this idea using sponges to paint a confetti design on fabric. See a tutorial for this idea using potatoes to stamp a confetti design on fabric.